After a bruising battle over Brett Kavanaugh's nomination, the highest court in the land once again has a full bench. There have been several times over the past two years when the Supreme Court had fewer than nine justices. First, there was a gap in 2016 after the death of Justice Antonin Scalia. The court had only eight justices for more than a year as Democrats and Republicans fought over whether then-President Barack Obama's pick would be confirmed during an election year. That drama ended with Obama's nominee, Merrick Garland, being refused confirmation hearings. Obama's successor, President Donald Trump, then nominated Neil Gorsuch, who was confirmed in April 2017. The court's latest vacancy came after Justice Anthony Kennedy announced that he would retire this summer, providing Trump with a second opportunity in as many years to appoint a justice to the bench. 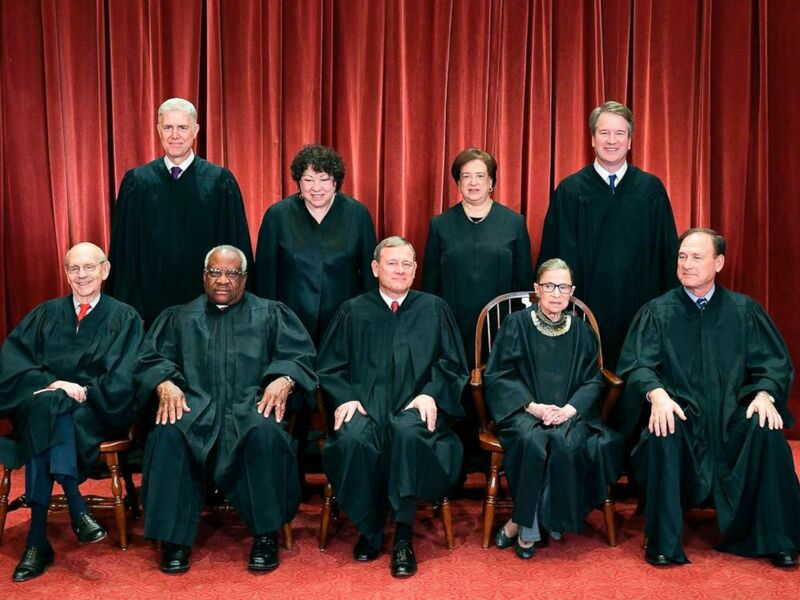 Justices of the U.S. Supreme Court pose for their official photo at the Supreme Court in Washington, D.C., Nov. 30, 2018. In October, Kavanaugh was sworn in after a contentious confirmation process and the most narrow vote margin in over a century. Here is a rundown of the nine current justices and their routes to the Supreme Court. Supreme Court Justice John Roberts. 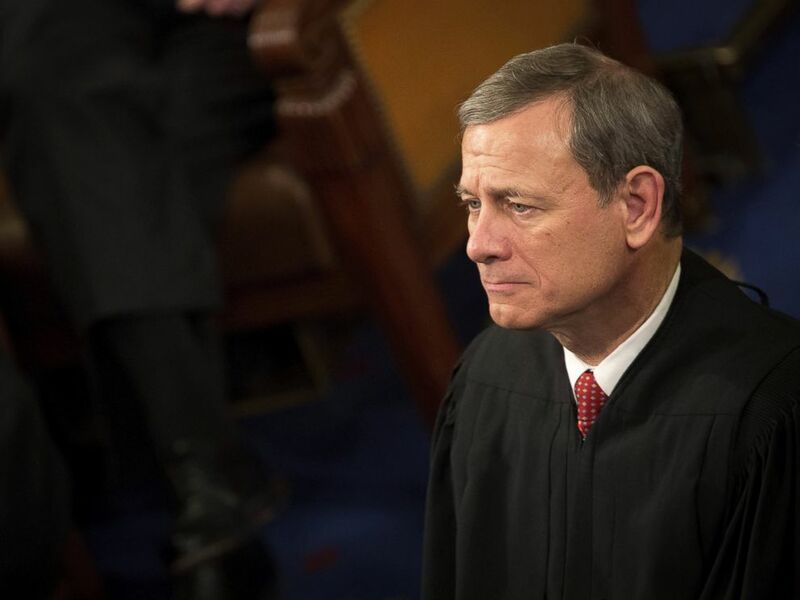 Roberts, 63, was appointed to the court in 2005 by President George W. Bush, who nominated him as chief justice. He took his seat Sept. 29, 2005, after a 78-22 vote in the Senate approving his nomination to become the 17th chief justice. Roberts graduated from Harvard College in 1976 and received his law degree from Harvard three years later. He served on the D.C. Circuit Court of Appeals before being appointed to the Supreme Court. Roberts was born in Buffalo, New York, and has two children with his wife, Jane Marie Sullivan. 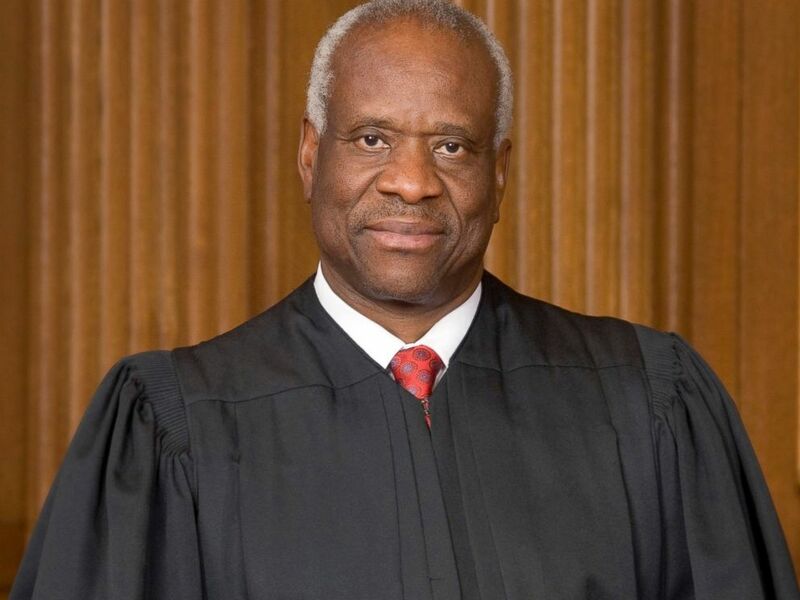 Supreme Court Justice Clarence Thomas. Thomas, 70, was nominated by President Bush in 1991. He was confirmed by the Senate in a 52-48 vote after partisan and contentious hearings, in which Anita Hill, a former aide to Thomas, testified to allegations of sexual harassment. Thomas denied the allegations in the highly publicized confirmation hearings and maintains his innocence. He joined the court on Oct. 23, 1991. Thomas graduated from Holy Cross College in 1971 and received his law degree from Yale Law School. He served as a judge on the D.C. Circuit Court of Appeals from 1990 to 1991. Prior to his judgeship, he was the assistant secretary for civil rights at the U.S. Department of Education and chairman of the U.S. Equal Employment Opportunity Commission. Thomas was born in the Pinpoint community near Savannah, Georgia. He married Virginia Lamp on May 30, 1987, and has one child by a previous marriage. Ginsburg, 85, was nominated by President Bill Clinton to the Supreme Court in 1993 while serving as a judge on the D.C. Circuit Court of Appeals. She was confirmed in a 96-3 vote and joined the court on Aug. 10, 1993. She was a professor at Rutgers University School of Law from 1963 to 1972 and then at Columbia Law School from 1972 to 1980. 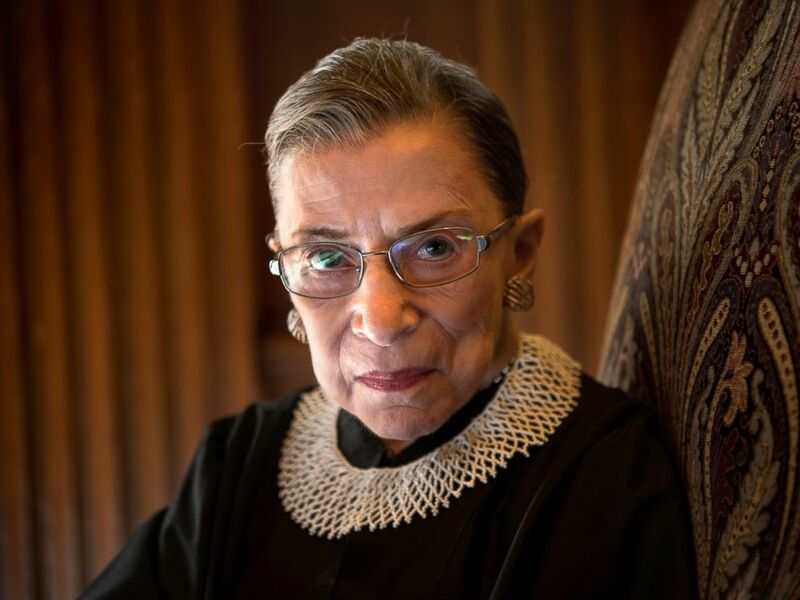 Prior to her judgeship, Ginsburg worked as the ACLU’s General Counsel, where she launched the Women’s Rights Project. She received her undergraduate degree from Cornell University. She then attended Harvard Law School but received her degree from Columbia Law School. Ginsburg was born in Brooklyn, New York. She married Martin D. Ginsburg in 1954 and has two children. 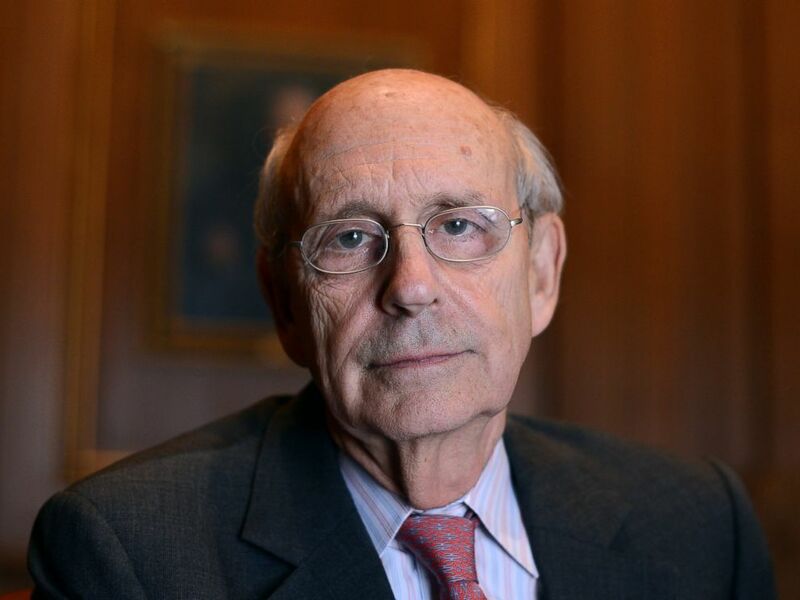 Supreme Court Justice Stephen Breyer. Breyer, 80, was nominated to the court by President Bill Clinton in 1994. The Senate confirmed him in a 87-9 vote and he took the bench on Aug. 3, 1994. Breyer previously served for 10 years as a judge on the U.S. Court of Appeals for the First Circuit and for four years as its chief judge. He attended Stanford University and Magdalen College, Oxford, and received his law degree from Harvard Law School. He clerked for Supreme Court Justice Arthur Goldberg in 1964. Breyer was an assistant special prosecutor of the Watergate Special Prosecution Force, a special assistant to the assistant U.S. Attorney General for antitrust, as well as chief counsel for the U.S. Senate Judiciary Committee. He has three children with his wife Joanna Hare. Breyer was born in San Francisco, California. Supreme Court Justice Samuel Anthony Alito Jr.
Alito, 68, was nominated by President George W. Bush in 2005. He took his seat on Jan. 31, 2006 after the Senate confirmed his nomination in a 58-42 vote, which followed Bush's withdrawal of his nomination of White House Counsel Harriet Miers. 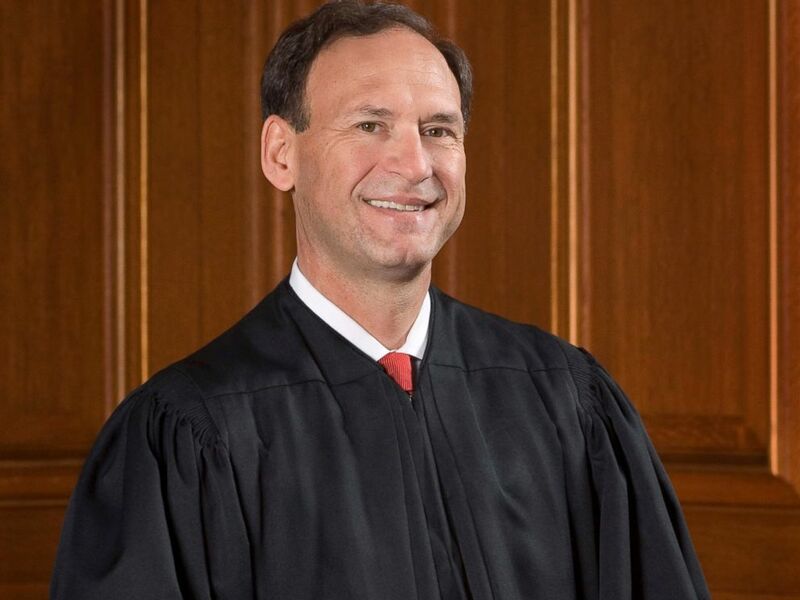 Alito previously served as assistant to the Solicitor General at the Department of Justice; deputy assistant Attorney General; and U.S. Attorney for the District of New Jersey. He was appointed to the U.S. Court of Appeals for the Third Circuit in 1990. Alito received his bachelor’s degree from Princeton University and his law degree from Yale Law School, where he was the editor of the Yale Law Journal. He is married to Martha-Ann and has two children. Alito was born in Trenton, New Jersey. Supreme Court Justice Sonia Sotomayor. Sotomayor, 64, was nominated to the Supreme Court by President Barack Obama in 2009. She joined the court on Aug. 8, 2009, after the Senate voted 68-31 in support of her nomination. In 1991, President George H.W. Bush nominated her to the U.S. District Court, Southern District of New York, and she served in that role from 1992 to 1998. She was then nominated by President Bill Clinton to the Second Circuit Court of Appeals, where she served for 11 years. 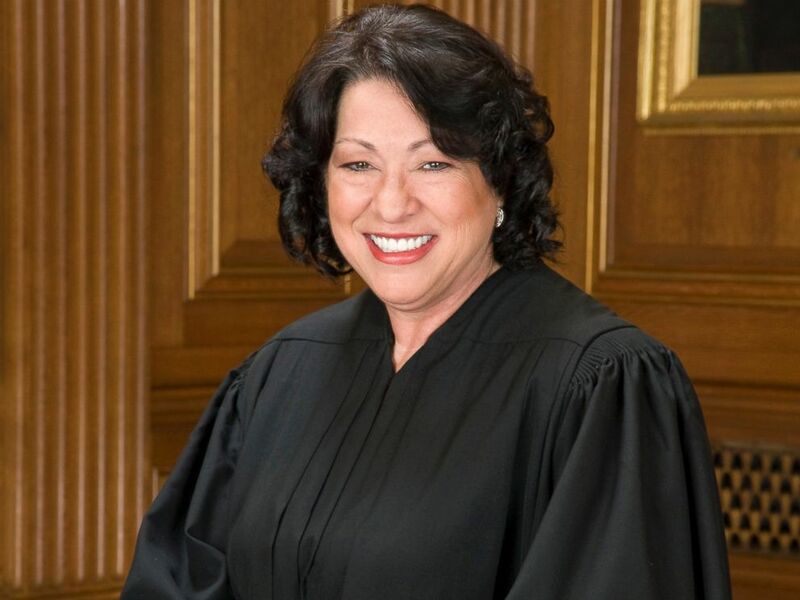 Sotomayor received her bachelor’s degree from Princeton University and her law degree from Yale Law School, where she served as an editor of the Yale Law Journal. She was born in the Bronx borough of New York City. 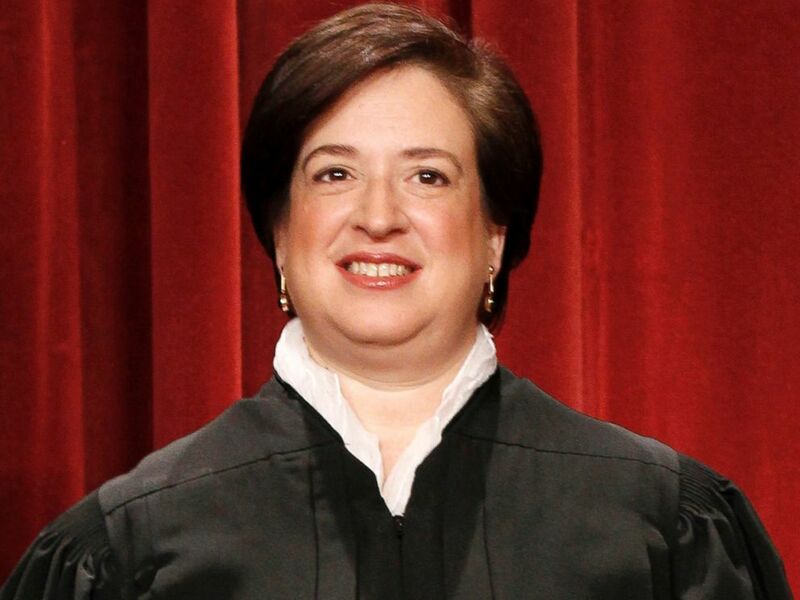 Supreme Court Justice Elena Kagan.Supreme Court Justice Elena Kagan. Kagan, 58, was appointed as Solicitor General of the United States by President Barack Obama in 2009. A year later, the president nominated her to the Supreme Court. She took her seat on Aug. 7, 2010, after a 63-37 vote in the Senate. Kagan clerked for Supreme Court Justice Thurgood Marshall in 1987. She was a law professor first at the University of Chicago Law School and later at Harvard Law School after briefly practicing law in Washington, D.C. She served for four years in the Clinton administration, as associate counsel to the president and then as deputy assistant to the president for domestic policy. She was also the dean of Harvard Law School from 2003 to 2009. Kagan was born in New York on April 28, 1960. Gorsuch, 51, joined the court as a former Colorado federal appeals judge. He was nominated by Trump on Jan. 31, 2017, to fill the late Justice Scalia's seat on the bench. He was confirmed by the Senate on April 7, 2018. Democrats, bitter over the GOP's refusal to hold a hearing for former President Obama's Supreme Court nominee Merrick Garland, fought hard to block Gorsuch's nomination. 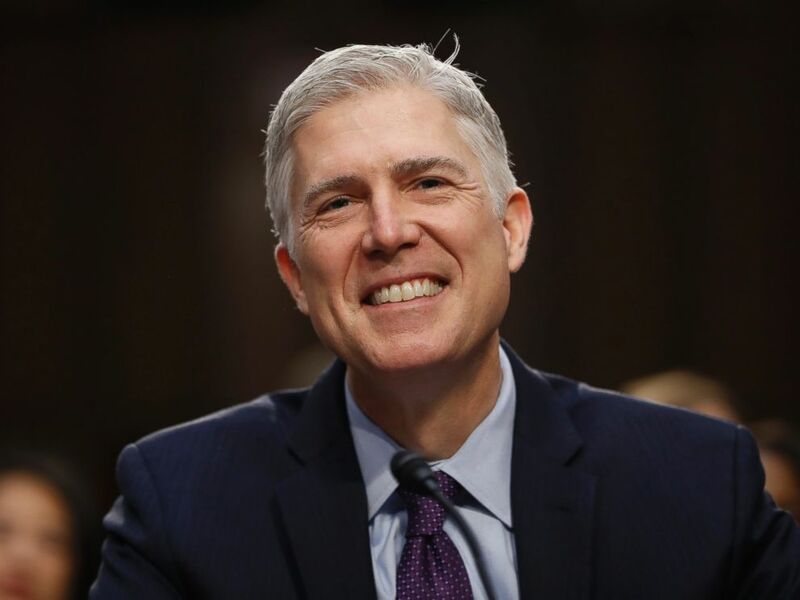 In order to get Gorsuch confirmed, Senate Majority Leader Mitch McConnell changed Senate rules to end debate on Supreme Court nominees with a simple majority of 52 votes instead of the original 60. Gorsuch was a former 10th Circuit Court of Appeals judge in Denver, nominated by President George W. Bush in 2006. Gorsuch was also a law clerk for Justice Kennedy. Gorsuch received his bachelor's degree from Columbia University, graduated from Harvard Law and got his Ph.D. from Oxford. He was born in Denver and has two daughters with his wife, Marie Louise. Brett Kavanaugh waits before being sworn-in as Associate Justice of the US Supreme Court in the East room of the White House in Washington, Oct. 8, 2018. Kavanaugh, 53, was the subject of one of the most openly bitter, contentious battles over a Supreme Court appointment in recent memory. He had a distinguished resume when he was picked by Trump to fill the seat left open after Justice Anthony Kennedy announced his retirement. Kavanaugh spent more than a decade serving on the United States Court of Appeals for the D.C. Circuit, which is widely seen as the second-highest court in the land. A native Washingtonian, he was nominated to the Circuit Court by then-President George W. Bush after having worked in the White House Counsel's office during the Bush administration. It was his actions before his legal career, however, that became major points of contention during his confirmation process. Psychology professor Dr. Christine Blasey Ford came forward alleging that Kavanaugh sexually assaulted her when they were both in high school, a claim which Kavanaugh denied. Two other women also publicly spoke about claims of sexual misconduct, which he also denied. The Senate Judiciary Committee allowed Ford and Kavanaugh to testify about the alleged incident, which Ford said took place in 1982. Kavanaugh's wife, Ashley, was seated directly behind him during his testimony before the Senate Judiciary Committee. The committee ended up voting in favor of recommending Kavanaugh's nomination to the full Senate, but with the caveat that the FBI spend a week investigating the sexual misconduct claims against Kavanaugh. The Senate held a full vote on Oct. 6, 2018, after senators were able to view the FBI report's findings, although Democrats expressed their concerns about the limited scope of the FBI's investigation. 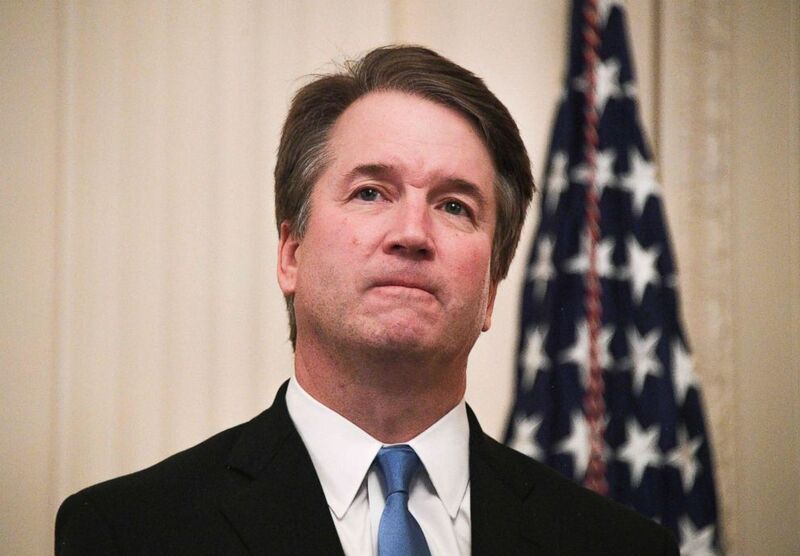 Kavanaugh was confirmed with 50 votes in favor, 48 votes against, and 1 vote present. His wife and two young daughters were by his side when he was sworn in later that day, and then again at a ceremonial swearing-in with Trump on Oct. 8, 2018. ABC News' Geneva Sands, Veronica Stracqualursi, Erin Dooley and Margaret Chadbourn contributed to this story.